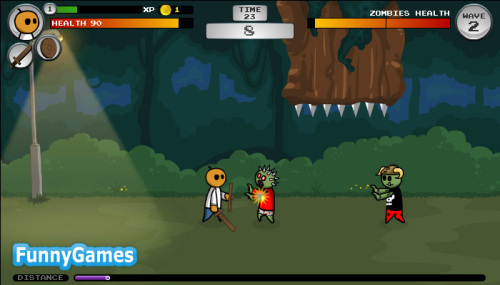 Description You've been created with only one goal: destroy all zombies! Use different combinations of attacks and collect as many coins as possible to increase your character's abilities even more! Can you achieve the highest score? Kill all zombies. Upgrade your character when you die to get better and reach your goal!